The products shown below were added to the Milk 'N Honey products line in recent years because we determined they are high quality, dynamic products that will meet the needs of our customers. TRY OUR NEW FERMENTED FOODS ZAUERKRAUT, ZIMCHI AND GINGER ZARROTS. FERMENTED FOODS ARE RICH IN ENZYMES AND ADD FRIENDLY BACTERIA TO THE INTESTINAL TRACT. EaseFemin is a women’s supplement containing an extract from Brazilian Red Propolis that helps reduce the symptoms that often accompany menopause such as hot flashes, night sweats and irritability. Extensive research shows extracts of Hawthorn and Arjune provide compounds that support normal heart muscle function and overall coronary artery health. SagaPro is a aqueous extract of Angelica archangelica leaves. It contains key compounds that support the smooth muscle tissue of the bladder. Users of this product have reported having less need to visit the bathroom which has led to having less sleep interruptions during the night. This extract contains anthocyanins for antioxidant protection and pterostilbenen to help maintain healthy glucose levels and DNA structure.This product contains wild Alaskan blueberries which have nearly ten times the antioxidant activity of cultivated blueberries. Glutathione is a critical antioxidant that every cell of the body must have in order to survive. It may be prudent to do all one can to maintain sufficient glutathione levels. Clinical Glutathione is a sub-lingual glutathione that has been shown to significantly raise the body's level of this important antioxidant. Go to our ARTICLES page and click on GLUTATHIONE: THE MASTER ANTI-OXIDANT for more information on glutathione. 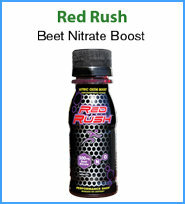 Red Rush is a beet juice concentrate containing 500mg of nitrate. In the body, nitrate converts to nitric oxide which causes blood vessels to widen allowing for better blood flow and enhanced oxygen utilization. Increased nitric oxide improves circulation to all parts of the body and lowers blood pressure. NaturaNectar Throat Guardian contains phenolic acids from Brazilian Bee Propolis in a water based spray that provides protection from the invasion of organisms harmful to the respiratory system. Mesoglycan is a naturally occurring substance found in the body. It is critical for building healthy arteries, veins, and micro blood vessels. Clinical studies on this product have shown it to improve blood vessel flexibility and promote better circulation throughout the body. This carotenoid helps protect photoreceptor cells in the macula of the eye from light damage.This product also includes lutein and Astaxanthin, two additional carotenoids critical to the health of the macula. This is a very high quality comfrey cream made from the flowers, stems and leaves of organically grown comfrey plants. This topical cream is free of the toxic pyrrolizidine alkaloids (PAs) found in other comfrey products. This CoQ10 product contains Primavie shilajit which research shows doubles the levels of C0Q10 in the mitochondria of the cells and thus leads to greater cellular energy. AMPK (adenosine monophosphate-activated protein kinase) is an enzyme found in all cells of the body and plays an important role in the burning of glucose and fats. Research demonstrates that increasing the activity of this enzyme leads to weight loss. AMPK Activator increases the activity of this enzyme. 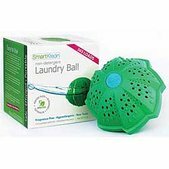 SmartKlean Non-Detergent Laundry Ball contains four types of mineral ceramic beads and two magnets which when used in a washing machine will clean your clothes without the use of detergents. The owner of Milk 'N Honey is using the "SmartKlean and reports it is working very well. Brazilian Red Bee Propolis is a very potent antioxidant. Numerous research papers have shown Red Bee Propolis to be effective in supporting the health of the pancreas, lungs, blood and various other body organs and systems. This is your complete brain formula containing the latest in discovered compounds that promote and enhance cognitive health. Good health requires that cells absorb glucose for use as fuel. To get this fuel into the cells the body needs insulin. Diabet-X supports the body’s ability to both produce and respond to insulin for better blood sugar control. Research show that PQQ activates cell signaling pathways directly involved in cellular energy metabolism, development, and function. PQQ not only protects mitochondria from oxidative stress,it promotes spontaneous generation of new mitochondria within aging cells.